Dylan Fraychineaud: The Zags will be angry coming off their loss to Saint Mary’s in the WCC Final and will avoid becoming the second No. 1 seed to lose a No. 16. Harris Ahmadzai: Of all the No. 1 seeds, Gonzaga should be the best prepared to play against a mid-major 16-seed. 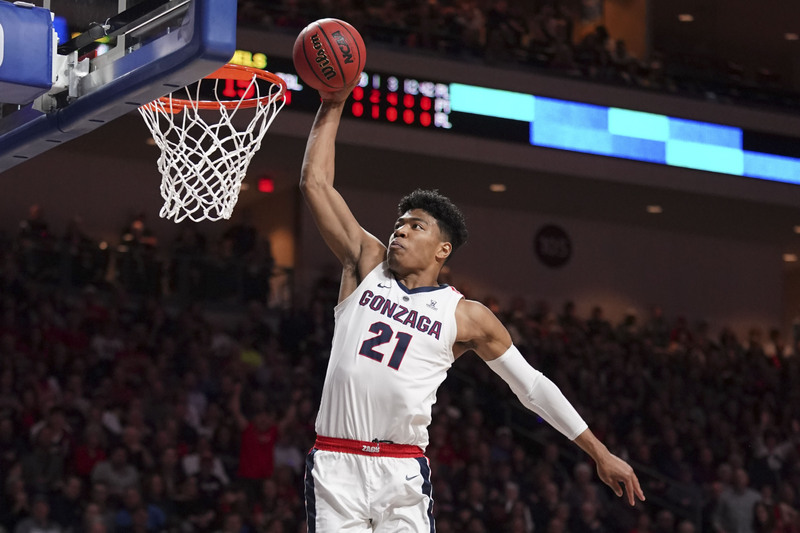 The Zags are used to playing against similar types of competition playing in the West Coast Conference — a conference they’ve absolutely dominated for the past decade-plus. Bulldogs win big. Jason Fray: Gonzaga will not suffer the same fate that Virginia did last year. The Bulldogs are motivated to return to the title game. The first victim on their conquest is Prairie View A&M. DF: Will Tyus Battle be healthy enough to make a difference against Baylor? That is the big question for me leading up to this game. Battle missed the ACC Tournament but should be ready for the Bears. Baylor’s best hope at winning is to dominate the boards. HA: I believe the public will be heavily backing the Orange here. Syracuse poses a tough matchup with the No. 1 seed Gonzaga given their length and Boeheim’s dreaded zone defense. Baylor could serve as an early bracket buster in a lot of respects, but I just don’t see it. It’s a classic case of ‘who do you trust more?’, and Boeheim always his team ready in March. JF: This game will come down to two things: Can Syracuse keep Baylor off the glass/prevent second-chance opportunities? Also, can Baylor hit enough shots from the perimeter to stretch Syracuse’s vaunted 2-3 zone? The Orange will come away with the win — primarily based on Jim Boeheim’s pedigree, and Baylor’s lack of success down the stretch. (5) Marquette vs. (12) Murray St.
DF: Those in charge gifted us with a Markus Howard/Ja Morant matchup. After looking like one of the better teams for most of the year, Marquette went 1-5 to end the season. Murray St. has rattled off 11-straight wins and will believe they are the better team when they take the floor. If Howard’s wrist is intact, I like Marquette. HA: This is going to be fun. 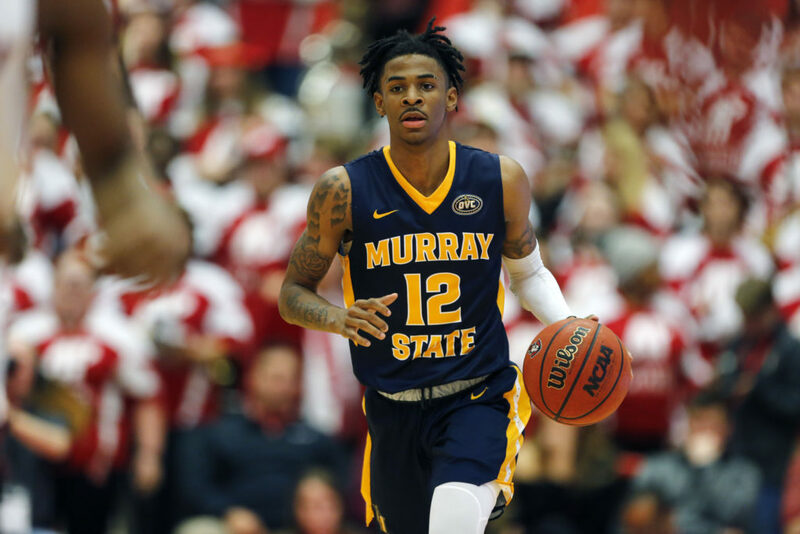 Marquette’s Markus Howards versus Murray State’s Ja Morant is worth the price of admission. Whichever team wins could be on-course for a Cinderella run deep into the tournament. I favor Marquette because they have a few more options offensively and are far more physically imposing in the front court. JF: A 12/5 upset occurs virtually every single year in the tournament. Marquette has lost five of its last six games. While Markus Howard can explode for 40 on any given night, Murray State boasts one of the best players in the country in Ja Morant. Look for the Racers — winners of 11 in a row — to come away with the upset victory. DF: In a region containing two of the best defensive teams in the nation, Florida State can make a case that they belong right alongside them. Vermont is an athletic team, but they simply don’t have the firepower to match a determined Seminole team. HA: I really wish the Catamounts could have gotten a different draw. After being ousted by eventual NCAA Tournament darling UMBC in the finals of the American East Conference Tournament a year ago, Vermont is back and as talented as ever. Vermont wing Anthony Lamb could give Florida State fits on defense, but the Noles are locked in right now. Florida State by double-digits. JF: The Catamounts have long been a tournament darling (ever since the days of Taylor Coppenrath). Forward Anthony Lamb is averaging 21.4 PPG, 7.8 RPG, and 1.9 BPG on .521 from the field and .370 from behind the arc. He may be an issue for FSU — though the Seminoles are a far deeper and more athletic squad. Vermont doesn’t shoot the three ball well enough (.353 as a team) to pull the upset). DF: A Buffalo/Arizona State matchup would be a shootout. The Sun Devils are incredibly athletic and could surely pull the upset. However, I believe in Buffalo. The Bulls will likely try to wear down the Sun Devils with their physicality — and end them with their perimeter shooting. HA: Every year it seems like a play-in team ends up making a run in the first weekend of the tournament. 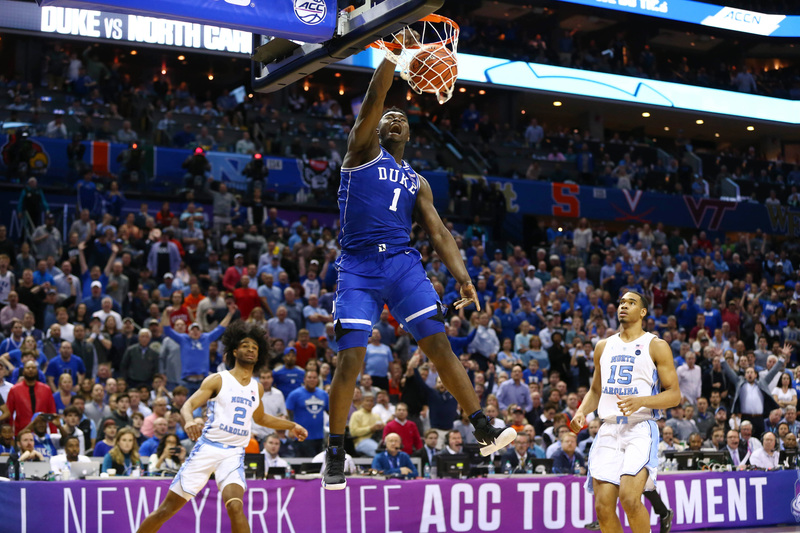 I don’t particularly love how Arizona State or St John’s has played recently, but the 31-3 Bulls will certainly be feeling some pressure after one of the best regular season’s in the program’s history. Expect chaos in March, and I like whichever team comes out on top in Dayton to sneak one out in the Round of 64. JF: Should Buffalo play Arizona State, it would pit Bobby Hurley against his former school. I could see a scenario in which the Sun Devils upset the Bulls. Should Buffalo play St. Johns, I see the Bulls advancing in relatively easy fashion. DF: Northern Kentucky needs to shoot lights-out from three in order to knock off Texas Tech. Tech isn’t a great offensive team, but its suffocating defense will be the difference against the Norse. HA: Texas Tech is in serious need of a bounce-back performance after an abysmal showing in the Big 12 Tournament. Jarrett Culver is a lottery-bound NBA prospect, and Northern Kentucky won’t have much for him. The Red Raiders advance, but could be in trouble in the later rounds. JF: The Red Raiders are not a fun team to play against. Texas Tech pushes the tempo routinely, and is one of — if not the best defensive team in the country. Though Northern Kentucky is no slouch, Texas Tech should be able to win this contest rather handily. DF: Both teams could easily win this game. Florida is capable of limiting teams from the three-point line and forces teams into turnovers. Nevada has a loaded starting group led by stud Jordan Caroline. 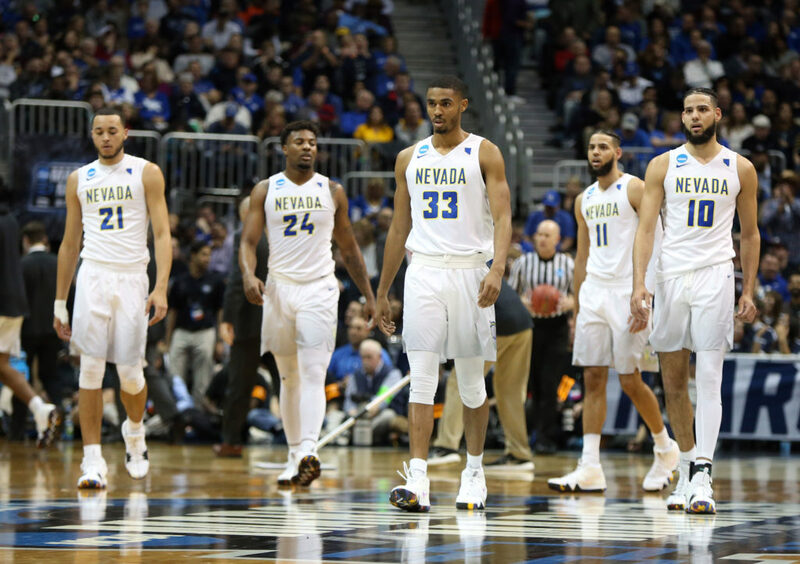 Due to its experience, effort, and more talented players, you should believe in the Wolf Pack. HA: I’ve been on the Nevada bandwagon since Day 1 of the season, and I don’t plan on hopping off. The Martin’s and Jordan Caroline are too talented to be ousted by a team that finished 8th in a so-so year for the SEC. The Wolfpack pour on the points in this one, with the Wolverines in their site. JF: This one is virtually a coin-flip. Many will pick Florida based upon the program’s history in the tournament. The Gators also looked impressive in knocking off LSU during the SEC Tournament. However, Nevada is simply the more talented team across the board. The Wolfpack haven’t been able to fully put it together yet this year. However, if the team can begin to peak, there’s not a more dangerous bracket-buster in the field. DF: Joining the likes of Florida State and Texas Tech, Michigan is amongst the best defensive teams in America. Montana is a good defense team in its own right, but Michigan is on another level. It may be close for a little while, but the Wolverines will have no problem advancing. HA: Disciplined, well-coached teams with good guard play are tough to upset. Montana can score in bunches, but they don’t have the talent, depth, or experience to matchup with last year’s runner-up. JF: The Wolverines are attempting to make their second-straight run to the Final Four. Montana is actually somewhat of a tricky opponent. The Grizzlies make 38 percent of their three-point attempts. However, Michigan is too good, and too well coached to see their season dashed by this mid-major.